The end of 2013 has been itching at me and whispering in my ear for weeks. It’s e-n-d-i-n-g. Can I get a hell, yes? To say I’m excited about 2014 would be an understatement. I’m overjoyed, elated, thrilled, fired right up. Recently I took it upon myself to learn the Hustle circa Saturday Night Fever. This + Bee Gees’ Night Fever is my happy track right now. Blissed right out as I think about 2014. Alright, I’m even fist pumping for it. For 2014 I’m staying true to what’s working ~ feelings over goals ~ and making no resolutions and no to-do lists disguised as goals. Amen. Being mindful of what feels good is like giving yourself a life compass. Mine’s obviously a golden life compass encrusted in jewels. Knowing what feels good, what lights you up, and what truly works with you is the key to figuring out where you wanna go, who you wanna be, and what you wanna do. If words for feelings don’t cut it, try images. 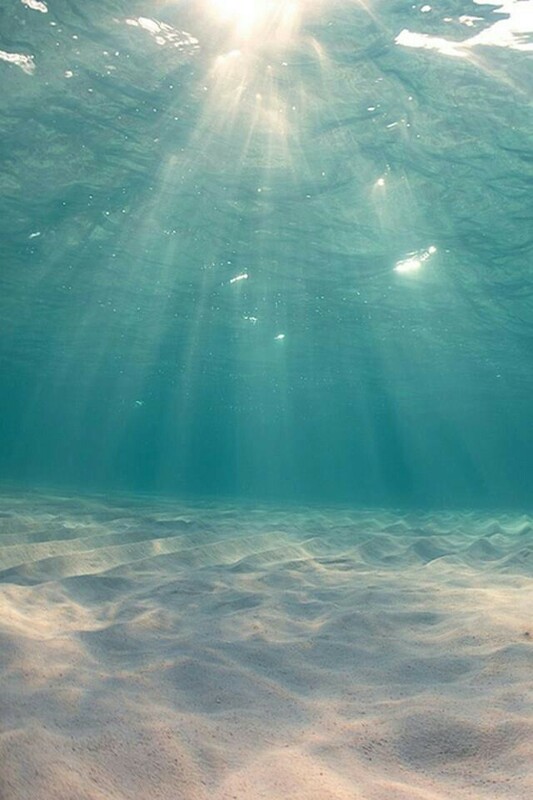 This image here… a beautiful ocean floor, perfect salt water, and the constant sun shining through ~ this is how I wanna feel.